Hello Internet! 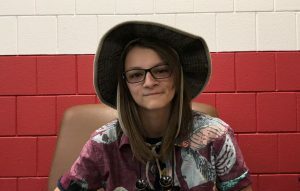 I’m Taylor Lee, I’m a Distribution Reporter at The Pony Express this year. I am currently in my junior year. I participate in LINK crew and theatre productions. I’m an avid watcher of cartoons and YouTube and I’m my dogs’ number one fan! I love tea and animals of all shapes and sizes. I enjoy writing and have always been intrigued by the News. I’m looking forward to reporting on and learning more about the Stillwater community (since I haven’t always been a part of it)! I’m also looking forward to doing online college next year and working at my job!